After much anticipation, the Bank of Canada (BoC) has raised its benchmark interest rate. The new interest rate is 1.5 per cent, an increase from 1.25 per cent. This is the fourth time the rate has increased in the last 12 months. The Bank of Canada has made it clear they were primarily basing their decision on three main factors: business investment, exports, and how heavily indebted households would respond to higher interest rates. The data is mostly positive with regards to those factors. Inflation is also a key factor they keep in mind when adjusting interest rates. The Bank’s measures of core inflation show it remains near 2 per cent, which is their target. Canada’s economy is operating close to full capacity with GDP expected to expand. 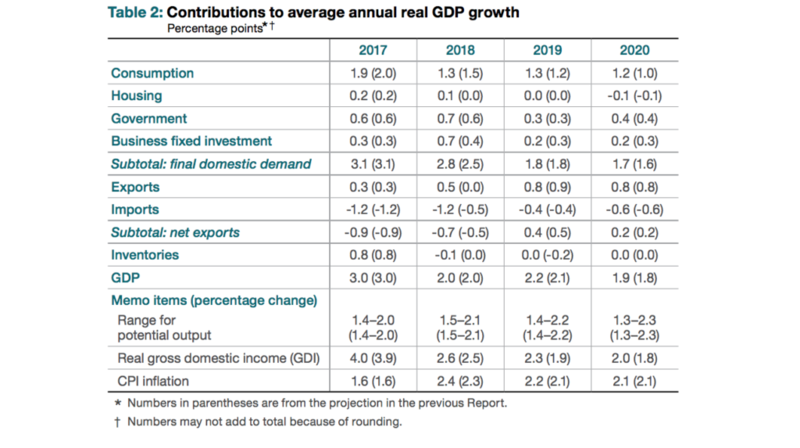 In their policy statement, BoC stated that “real GDP growth is projected to average 2.0 per cent over 2018 to 2020” and “stronger levels of spending are expected to persist over the projection horizon, partly reflecting higher oil prices, even with the larger impacts from trade policy uncertainty and tariffs”. Some people in the industry have been critical of the fact that BoC did not take into account the current trade tensions between the US and Canada when making the decision to increase interest rates. The Bank of Canada defended their decision to raise interest rates even with trade tensions. They have previously stated that they will guide their decision based on actual data not trade rhetoric to determine interest rates. The Bank predicted the recent tariffs would have only “modest” effects on growth and inflation, although further tariffs from the US and retaliatory ones from Canada are expected. With the uncertainty between US-Canada trade relations, future adjustments to the benchmark policy interest rate are expected. Overall, Canada’s economy is strong and is expected to grow in the coming years even with trade uncertainty with the US. The Bank of Canada believes that higher interest rates are warranted to keep inflation near the target. They will continue to monitor the economy’s adjustment to the higher interest rates, wage pressures, and the response of companies and consumers to future trade actions.